Want a Say in the Direction of HepCBC? Online or in person, attend HepCBC’s Annual General Meeting. Actual event is Saturday, November 3rd from 2 to 3 pm. 1947 Cook Street. UC researchers recommend universal screening to tackle rise in Hepatitis C.
Physicians are encountering a growing number of younger patients who are testing positive for hepatitis C virus (HCV) fueled largely by the opioid crisis impacting communities around the country. That increase and more effective and tolerable drug regimens for HCV infection, means one-time universal screening of all adults for HCV is now cost effective and recommended. Does Cannabis Use Reduce Cirrhosis Risk in HCV Patients? In an observation of a large pool of patients with HCV, cannabis users had a lower prevalence of liver cirrhosis, more favorable health status at hospital discharge, and lower total health care costs than non-users. HepCBC at the Coast Mental Health Clubhouse. 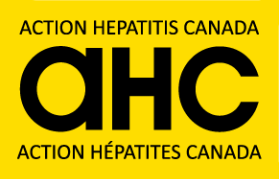 On October 12, 2018, HepCBC sent two volunteers to man a hepatitis B and hepatitis C info booth at the Coast Mental Health Clubhouse (11th Avenue and Sophia Street in Vancouver).